On Halloween, thousands of kids will take to the streets of Sarasota to go trick-or-treating. One recent study of parents reported by Safe Kids found 89 percent of children would be participating in some kind of Halloween event. Trick-or-treating was the most popular way to celebrate the the holiday, with 73 percent of children going trick-or-treating door-to-door. Drivers need to be aware there will be so many kids on the roads on Halloween, since more children out on the streets means a greater risk of pedestrian car accidents. Drivers are expected to exercise reasonable caution and care at all times when operating their vehicles, and competent drivers will step up their safety efforts on Halloween. 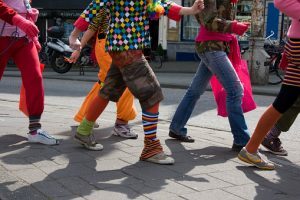 The added risk of pedestrian collisions on Halloween is significant, with Indiana University research revealing double the number of child pedestrian deaths on Halloween night, as compared with all other days of the year. The hours of 4:00 PM to 10:00 PM on Halloween are the highest risk times. It is this time period during which twice as many kids die on Halloween in pedestrian crashes compared with the death toll during the same time any other day. Drivers should turn their headlights on earlier. Putting lights on around 4:00 PM instead of waiting until it is fully dark will allow drivers to better be able to see when children are in the path of their cars. Drivers should expect unpredictable behavior from kids. Although children should always look both ways before crossing the road, some kids get too excited and fail to do so on Halloween. Masks worn with costumes can also affect a child's vision and can make it harder for a child to cross the road safely. Drivers should be aware of kids crossing outside of crosswalks or away from street corners. Republican Herald reports 70 percent of Halloween pedestrian accidents involving children happened away from intersections or crosswalks and took place in the middle of the road. Drivers should go more slowly in residential neighborhoods where children are most likely to be going door-to-door trick-or-treating. When a driver goes more slowly, it will not take him as long to stop the car and he should thus be better able to avoid striking a child. Slow speed crashes are also far less likely to be fatal if a child is hit by a car. Drivers should ensure they are not distracted by phones or other devices and are always focused on the road so they can immediately see if a child has come into their path. Halloween should be a time for fun, not a time of tragedy. If every driver goes the extra mile to be careful and avoid crashes this holiday season, hopefully children will be able to trick-or-treat and get home safely.